Bungee Balls are a mystery to many people…not because they don’t know what a Bungee Ball is, but because they didn’t know it had a name. Sure, they’re super useful in a lot of different applications, but where did they come from??? 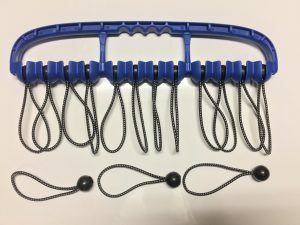 Much like their parent invention the Bungee Cord, Bungee Balls have evolved without patent, without any particular brand laying claim to their origins, and with a large number of variations & different standards of quality on the market. Tying off coiled rope, electrical cords, hoses, pet snakes, et cetera! Tying down tarps for winterizing your boat or camper! Securing objects for transportation, such as a bike or skis to a car rack! Securing tarps to make a fort, uh shelter! Bundling firewood, tent poles, or yard equipment! Bundling fishing poles, household tools, or brooms and other long-handled home implements! 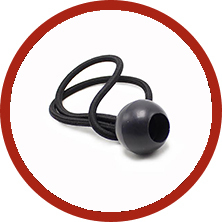 …but don’t think Bungee Balls are limited to just tying, securing, or bundling! The only thing limiting the use of Bungee Balls is your imagination! It was the Bungee Ball that inspired the winning design for the Cable Wrangler, our life-changing solution to cord and cable management! You know that thing about “better ingredients, better pizza”? Same deal here. But the idea is this: Our Bungee Balls are better because they’re made out of better stuff. 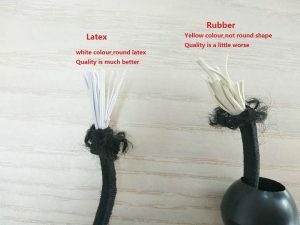 More importantly, instead of tasting better, our Bungee Balls are stronger, more flexible, and longer-lasting than the cheap-o Bungee Balls you’ll find on some fly-by-night Ebay listing. Hey, glad we could help! And while you’re at it, pick up a Cable Wrangler or two! 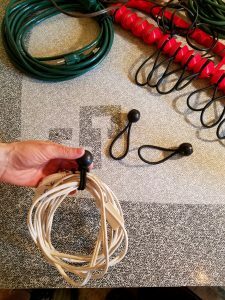 Equipped with 12 Cable Wrangler Branded Custom Heavy-Duty Bungee Balls, it’s an invention that will keep you free of infuriating, nasty, unwanted cord and cable tangles forever!